LÉVESQUE, FRANÇOIS, merchant, justice of the peace, legislative and executive councillor; probably b. 29 June 1732 at Rouen, France, to François Lévesque and Marie Pouchet; m. 16 Aug. 1769 Catherine Trottier Desauniers Beaubien in an Anglican service at Quebec, and they had nine children; d. 15 Jan. 1787 at Quebec. 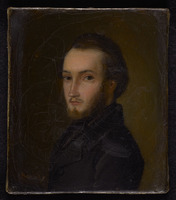 Nothing is known of François Lévesque’s early years, except that he came from a Huguenot family, prosperous weavers originally of Bolbec, France. His reasons for leaving that country are also unknown, as is the precise date of his arrival at Quebec. Nevertheless, it seems that before 1756 he joined forces with his two cousins François Havy* and Jean Lefebvre*, who were already established at Quebec as merchants. The Seven Years’ War then caused separation of the associates: Havy went to La Rochelle and Lefebvre left Quebec for France in 1760. After Lefebvre’s departure Lévesque was given responsibility for recovering the debts owing to his partners. Lévesque quickly gained the confidence of the existing authorities, and was able to take advantage of favourable business opportunities. Thus in 1764 Governor Haldimand made him the sole trustee of 87 stoves and 310,000 pounds of iron from the Saint-Maurice ironworks, which was later liquidated. The administrators of the Séminaire de Québec entered into numerous transactions with him: for example, he lent them 3,000 livres in 1761 and supplied 6,000 paving stones in 1774. In another connection, on 11 Aug. 1781 the bursar of the seminary, Thomas-Laurent Bédard, granted Lévesque a lot with a frontage of 60 feet in Quebec’s Lower Town. Lévesque embarked on a large wheat business which greatly enhanced his wealth and status. About 1773 he is even said to have owned a fleet of vessels for his trade with Europe. While engaged in commercial activities, he also pursued a career in public office. 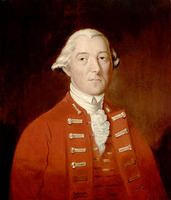 In 1769, in his marriage contract, he was termed a justice of the peace; then in 1772 he became a member of the Council and in 1775, under the Quebec Act, of the Legislative Council. As councillor he opposed the fixing of wheat and flour prices, which was proposed in 1780. 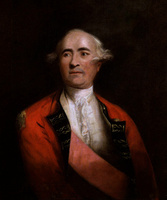 On 6 Nov. 1786 Lord Dorchester [Carleton*] announced the creation of a committee of council on commerce and police, which was to study “External and Internal Commerce and regulation of the Police, having an Eye to the ancient Laws and usages of the Province,” and to report to Lord Dorchester. The committee’s appointed members, Edward Harrison, John Collins, William Grant*, George Pownall*, and François Lévesque, were authorized to summon witnesses and undertake interrogations, and to examine records and pertinent documents. The committee met for the first time on 13 November, and its report was submitted shortly before Lévesque’s death on 15 Jan. 1787. There is a well-established tradition that Lévesque was converted to Catholicism through his wife’s influence. Nevertheless, his burial certificate is to be found in the Anglican register at Quebec. The obituary in the Quebec Gazette of 18 January bears witness to the respect in which his compatriots held him: “His social and patriotic virtues have long since acquired him the esteem, love and gratitude of this province, to whose interests he always shew’d his attachement, which renders his loss the more regretted by the public in general, and his friends in particular.” The important political offices he assumed, as well as his social success, make him typical of the bourgeoisie of his time. Lévesque’s wife died in 1807 at Saint-Denis on the Richelieu, where she had retired to be near her daughter Catherine and her nephew Pierre-Guillaume Guérout. ANQ-Q, État civil, Anglicans, Cathedral of the Holy Trinity (Québec), 16 Aug. 1769, 17 Jan. 1787; Greffe de Claude Barolet, 14 sept. 1748; Greffe d’André Genest, 11 juin 1775; Greffe de J.-C. Panet, 16 août, 10 oct. 1769. ASQ, C 22, sept.-oct. 1761; S, Carton 10, no.38; Séminaire, 82, no.50; 121, no.112; 152, nos.28, 215, 236. Doc. relatifs à l’hist. constitutionnelle, 1759–91 (Shortt et Doughty; 1921), II, 685, 703, 780, 802, 859, 885–87, 897, 900, 908. PAC Rapport, 1890, 43, 51–53, 214. Quebec Gazette, 18 Jan. 1787. F.-J. Audet et Édouard Fabre Surveyer, Les députés au premier parlement du Bas-Canada (1792–1796) . . . (Montréal, 1946), 258–59. Tanguay, Dictionnaire, VII, 358. Turcotte, Le Cons. législatif, 28. Liliane Plamondon, “Une femme d’affaires en Nouvelle-France, Marie-Anne Barbel” (thèse de ma, université Laval, Québec, 1976), 79. M. Trudel, L’Église canadienne, I, 189–90; Le Régime militaire, 115–16. M.-F. Beauregard, “L’honorable François Lévesque, son neveu Pierre Guérout, et leurs descendants,” SGCF Mémoires, VIII (1957), 13–16. A.[-E.] Gosselin, “François-Joseph de Vienne et le journal du siège de Québec en 1759,” ANQ Rapport, 1922–23, 413. J.-J. Lefebvre, “François Levêque (1732–1787), membre des Conseils législatif et exécutif,” BRH, LIX (1953), 143–45. Jean-Francis Gervais, “LÉVESQUE, FRANÇOIS,” in Dictionary of Canadian Biography, vol. 4, University of Toronto/Université Laval, 2003–, accessed April 24, 2019, http://www.biographi.ca/en/bio/levesque_francois_4E.html.